Holding appointments in the Departments of Chemical and Biological Engineering and Civil, Environmental, and Construction Engineering, as well as the Tri-Campus Materials Science PhD program, Prof. Wujcik is able to advise students graduating with a PhD in Chemical and Biological Engineering, Environmental Engineering, OR Materials Science. Potential visitors to the MEAN Lab are welcome to consult Professor Wujcik directly [Evan.Wujcik@ua.edu] for openings. Flexible positions will be offered to candidates who bring their own external funding sources. Be sure to send a completed copy of the Visiting Scholar/Visiting Student Form [download PDF here]. International Ph.D. students and post-doctoral researchers can also apply to the MINT Summer Internship Program [mint.ua.edu/education/mint-summer-internship-program/]. The MEAN Lab occasionally seeks post-doctoral researchers to conduct research in the areas of advanced nanomaterials, nanosensors, polymers, nanofibers, and/or electrospinning. For more information on research areas, see Research. Flexible positions will be offered to candidates who bring their own external funding sources, including CSC awards [http://en.csc.edu.cn/]. Please e-mail a 1-page research plan and CV to Professor Wujcik directly [Evan.Wujcik@ua.edu]. The MEAN Lab is currently seeking prospective chemical engineering Ph.D. students to conduct research in the broad and multidisciplinary areas of advanced nanomaterials, nanosensors, polymers, nanofibers, and/or electrospinning. For more information on research areas, see Research. Please e-mail your CV - along with scanned GRE, TOEFL, and transcripts - to Professor Wujcik directly [Evan.Wujcik@ua.edu]. The MEAN Lab occasionally seeks prospective chemical engineering M.S. students to conduct research in the broad and multidisciplinary areas of advanced nanomaterials, nanosensors, polymers, nanofibers, and/or electrospinning. For more information on research areas, see Research. 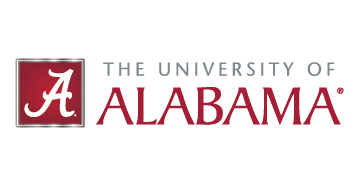 Please e-mail your CV and transcripts to Professor Wujcik directly [Evan.Wujcik@ua.edu]. Undergraduates interested in research have the opportunity to do research for volunteer experience, credit through CHE 498 (1 credit = 3 hours of laboratory or data analysis per week), or occasionally for pay.